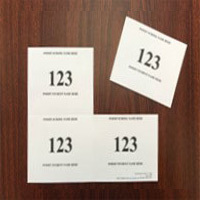 Ride Release ID Forms™ by Burris Computer Forms® may be the next game-changer for dismissing students from their schools. Our product line is compatible with some school dismissal software or with your own system. When it comes to releasing students for their buses or car pickups, we’re here to help schools organize the busyness. 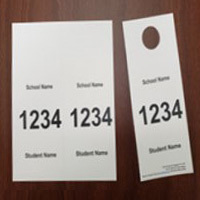 Different ways Ride Release ID Forms can help your School Dismissal Manager. Safely dismiss students to their authorized buses, or parents or guardians. Release students in orderly fashion. 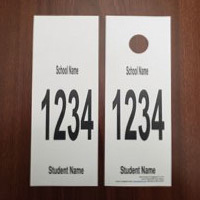 Help provide faster, more efficient and orderly dismissal for parents, students and teachers. 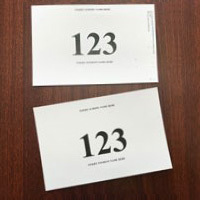 Provide inexpensive, varied forms that can be printed in-house (in school) on standard inkjet or laser printers. 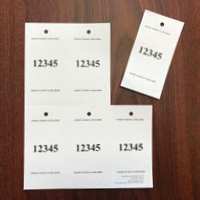 While classes are wrapping up for the day, a designated staff member can greet the car pickup line, check the Ride Release ID for the student’s ID number that the guardian/parent has for verification, and notify the classroom teacher. After verifying the child's ride is there, teachers can release their students. 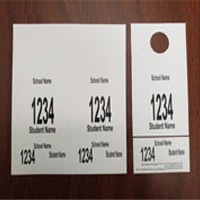 Not only does this save time, but Ride Release ID's can assist schools with providing security and safety.